Evelyn's involvement in Wearable Art began in the 1960's. She has created clothing made from fur, leather, wool, nylon, moss, wheatgrass, videotape, paper, virtually everything. Evelyn has won numerous awards for her pieces. Since the late 1990's, Evelyn has been a regular entrant in the prestigous New Zealand Wearable Art Awards. In 1974 the Evelyn Roth Recycling Book was released by Talon Books. The publication was recently re-photographed and released as an e-book and is full of snaps of wacky creations including wheatgrass capes, paper coats and knitted fur, moss costumes, and a car cozy made from crocheted videotape. 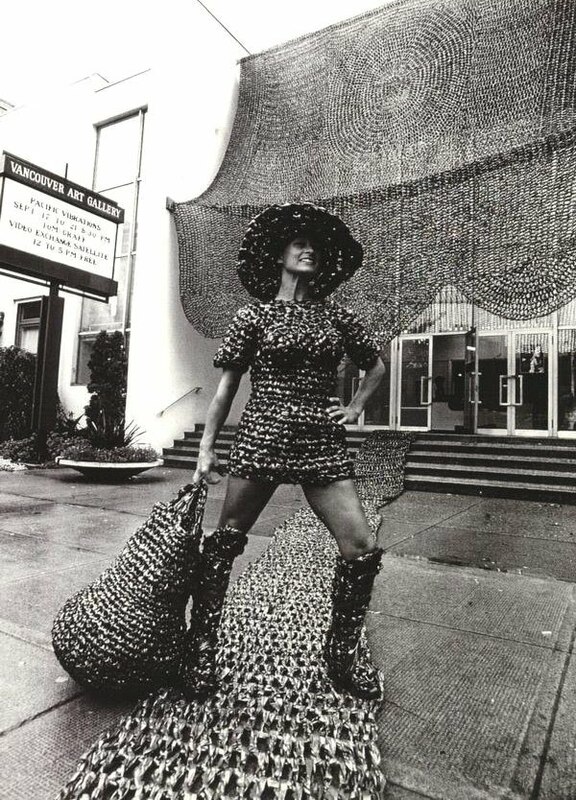 Her knitted rabbit fur pieces appeared in a New York fashion show in 1979, and in 1999 she won WOW (The World of Wearable Art) international design competition. Evelyn's work has been well documented with numerous short movies being made to celebrate her art form. Evelina's Supa 8's are just that, a movie made from various Supa 8 films from over the years. Award winning short film by Evelyn Roth made in 1974.